This mini-trampoline is specially designed for young children from the age of 3. Provided with a handle bar, this trampoline will help your children develop motricity, coordination and balancing skills, all this while having fun! - With its square shape (96 x 96 cm), this mini-trampoline for tots wil fit nicely in a garden or interior space. Its not too big and is easy to put away. - The handle bar has been developed to provide maximum security to your children while they are jumping. Easy to hold, the rounded galvanized steel bar is covered in foam for safe use. 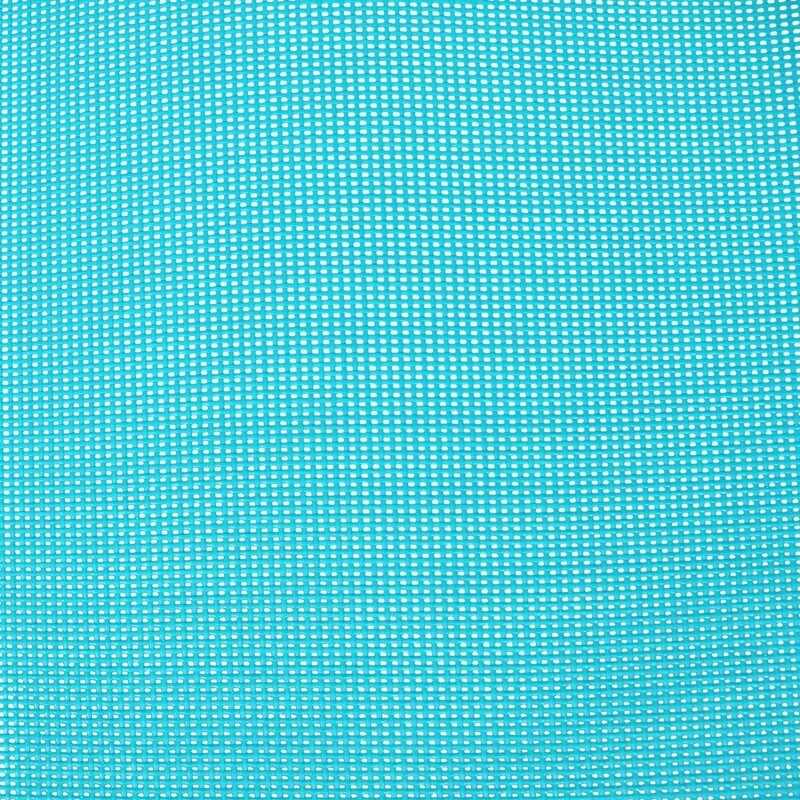 - The PVC jumping mat is stretched thanks to large elastics that provide perfect flexibility while jumping. 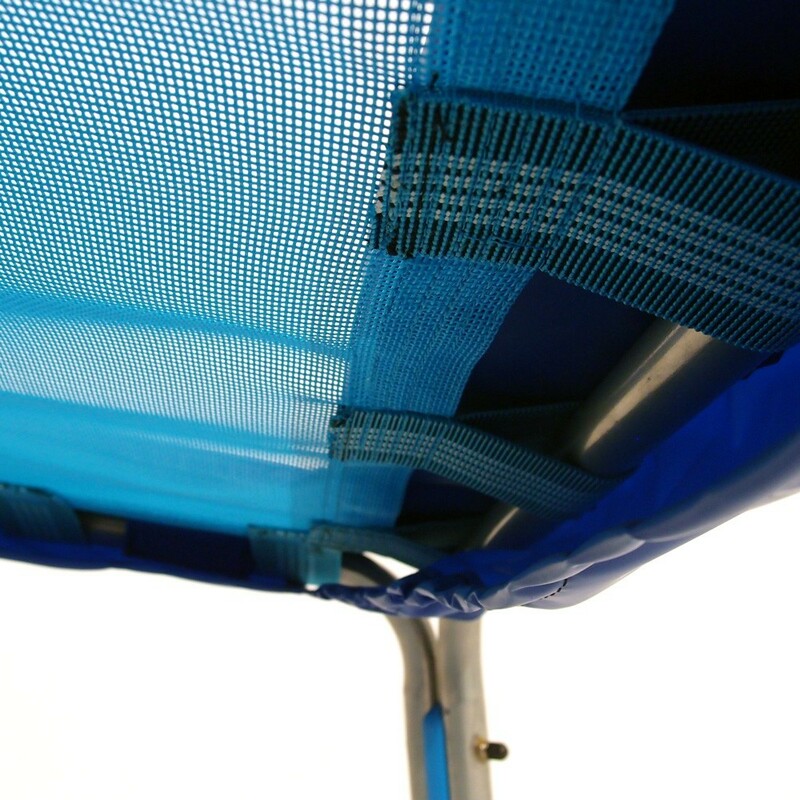 A 2 cm thick frame pad also covers the structure and elastics so no little feet can get caught. This trampoline for young children supports a maximum weight of 35 kg. So much fun in so little space! This space-saving mini trampo, 96 x 96 cm, is the ideal trampoline to have your children ages 3 and older discover the joys of the jump! 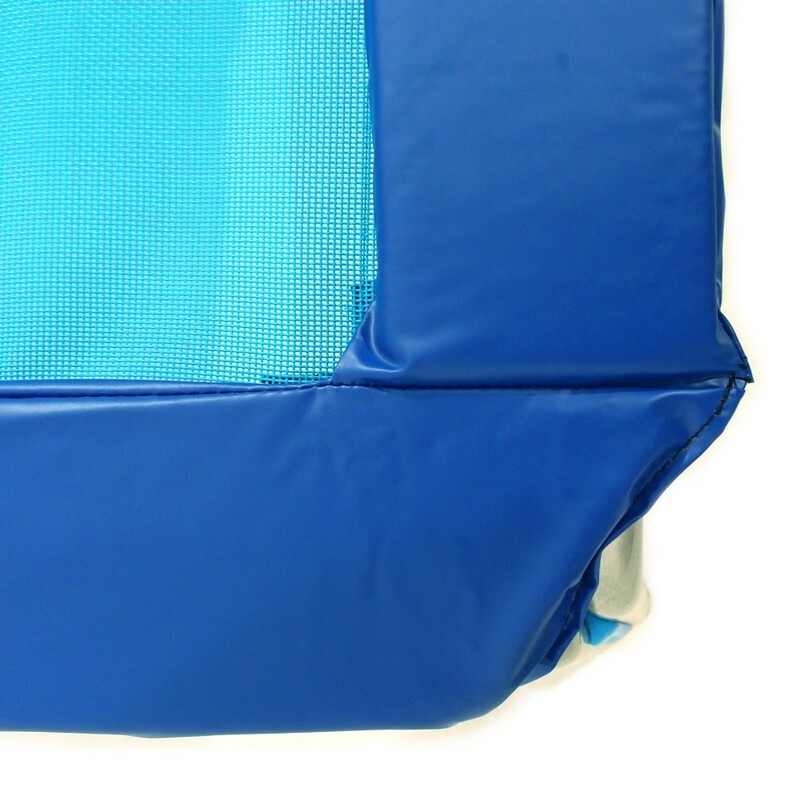 Stable and equipped with a hand bar, your little jumpers can play on this trampoline both indoors and outdoors. This trampoline can sustain up to 35 kg. This mini-trampoline was especially designed to develop coordination and balance in children. 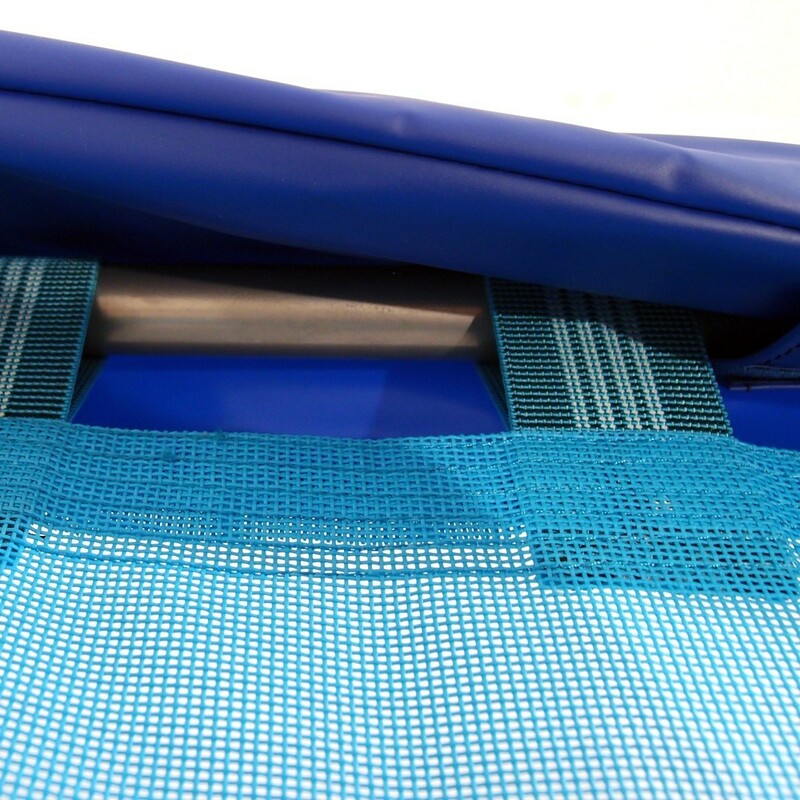 The jumping mat is tightened using elastic cords for soft, gentle jumps, preserving the joints of young children.